It was a week of shocks, and rather nasty ones at that. The biggest shock of them all was, of course, the Trump victory in the US. That rather eclipsed the awful shock of the desperately tragic tram crash in London, which killed seven commuters innocently going about the daily business of getting to work. And while it seems old news, it is still shocking to see and hear of some of the latest atrocities from Syria and the Middle East. There were a couple of deeply upsetting professional shocks, and then on Friday afternoon I heard something which shocked me to the core. Towards the end of a discussion on music in Singapore, one young man told me how, at school, he had been forced to undertake a “compulsory choir audition”. He resented music for a long time after that. I was so shocked at the concept of compulsory choir auditions that I never thought to pursue the matter any further, but I gather such things are not entirely unheard of in Singapore schools. Perhaps I am wrong in finding the concept of compulsory choral auditions for non music pupils repulsive, for there is no doubt that choral singing in schools in Singapore is not only very widespread but also very good. Good, that is, on the basis that the choirs win competitions both at home and overseas. There, again, I am perhaps revealing my own prejudice when I criticise choirs for regarding competition above musical performance. 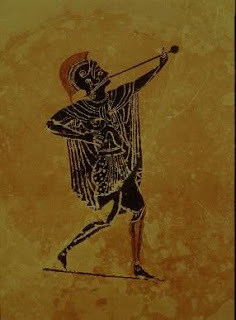 Let’s not forget that, while I may find the notion of a “Choir Olympics” distasteful, the Ancient Greeks, who did, after all, discover music, incorporated musical competitions in their Olympic Games. Herodorus of Megara won the trumpet playing contest in 10 consecutive Olympiads between 328 and 292 BC. Whether any members of the Graduate Singers started their choral singing lives under the duress of compulsory audition, I do not know. What I do know is that now they sing beautifully, make a lovely, smooth and polished sound and are elegant performers on stage. They gave a performance on Saturday evening, and while they displayed the strong characteristics of the American Barbershop which seems to have infected choral singing in recent years – arrangements which focus on close, consonant harmony and on making pleasing sounds, appearing on stage immaculately coiffured and in carefully manicured, uniformly tailored dress, and treating the stage as a place to utilize rather than one from which they can project their music-making – there was also a sense that this is a choir for whom the music matters. 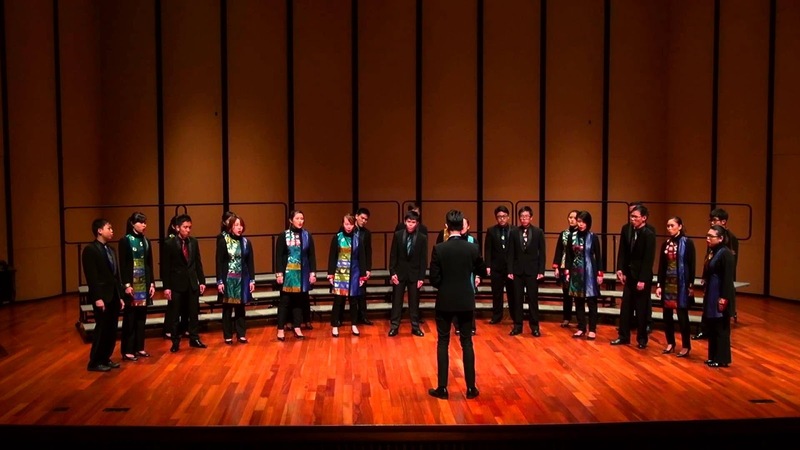 Their concert had plenty of the entertainment factor which seems to attract audiences for this kind of choral show, but it also had musical credibility. The programme comprised the usual bland arrangements which seem to derive all their ideas from what I label “the Eric Whitacre Book of Nice Chords for Choirs”, but there were one or two things here which really stood out as being original and distinctive. In preparation for a Japanese tour, the programme had a distinct Japanese feel, and it began with Sakura by Toru Takemitsu, a distinguished 20th century composer whose static, atmospheric music had far more depth to it than most latter-day choral pieces, even if the choir, dotted around the stage like so many fallen leaves, seemed to hold it all at arms’ length. The other work which really stood out for me was Zechariah Goh’s Reminiscences of Hainan which certainly had a great deal of originality and real quality at the start, even if the piece ultimately took refuge in smoochy, harmless chords designed more to make a nice sound than sustain a musical argument. The Graduate Singers performed Goh’s work exquisitely. If conductor Adyll Hardy has one weakness, it is the usual choral director’s problem of getting the sound rich and beautiful and forgetting the intonation; often the choir just lost its tuning on some of the multi-part chords, taking the edge off the ultimate effect. Any orchestral conductor worth their salt would devote time to tuning single chords to prevent this, but in the world of choral singing sound seems to matter more than niceties of pitch. Another area where the Graduate Singers let themselves down was, ironically, in the matter of dress. If they do feel the need to move around the stage (and Hardy mercifully kept this down to a minimum), they need to think about shoes. Hard leather soles sound like Dutch clogs on the wooden stage of the SOTA concert hall, and the lingering effect of a shimmering eight-part chord was undermined by the clod-hopping din of a choir moving from one place to another while a M.C. tried to drown the noise out with her connecting announcements. The Graduate Singers would have done well to take a lesson from the Japanese Cultural Society Choir who shared the stage. A vision in scarlet cloaks, they floated on and off stage as if in felt slippers – you hardly heard them move. I loved particularly the imaginative visual projections above the stage which cleverly filled in pictures as each song progressed. Such things are occasionally done in concerts, but I’ve never seen them done so effectively and intelligently before. Very sadly, a further shock awaited me in the guise of an unwelcome phone call in the interval, and I had to miss the concert’s second half. I was genuinely upset that I could not hear the remainder of what had turned out to be a really lovely concert and a musically rewarding display of fine choral singing. This came as one of the week's few genuinely pleasant shocks.